When a person is arrested and charged with a criminal offense, the individual may be able to get out of jail by posting bail or obtaining a bond. A judge then decides the amount of bail based on numerous factors like the severity of the alleged offense, how likely it is that the defendant will commit additional crimes once out of jail, and the chances that the defendant will disappear from the jurisdiction before trial. After a person’s detention, a judge will set the amount of bail, along with any other stipulations for his or her release. Factors to consider that could count against bail include risk for the individual to flee and risk to the public of further criminal actions. Factors that might be in favor when granting bail include a no prior criminal history and strong connections to the community. When criminal offenders are released from jail, some of them are “bonded out” while others are “bailed out.” If you devour plenty of criminal news, the two terms start to look like one can be used instead of the other, as though they both mean the same thing. While they both have the same effect — temporary freedom — they’re different. 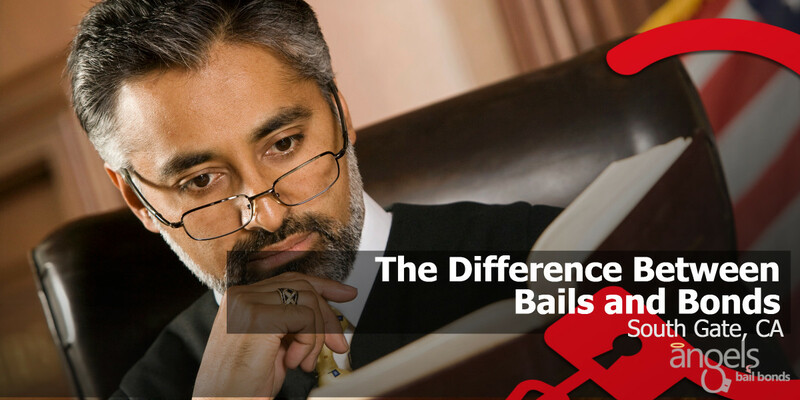 The main difference between bond and bail is a slight one, but it eventually comes down to the origin of the money. Who is posting the bail money and what is being submitted as payment? More likely you already know, bail is the monetary amount an individual should pay to ensure his release. In case he or she fails to show up at a specified court date, then money is not refunded. This explains why an extremely rich criminal might be required to pay a seemingly impossible amount of money. For instance Wall Street magnate Michael Milken, who was able to pay his $250 million bail amount after he was arrested for 98 charges for insider trading. There is also the issue of someone deemed too dangerous to be released from police custody — they definitely won’t get bail. If the offender or significant other, best friend or unfortunate family members pay the amount, then we can say that he’s been bailed out of jail. Although a million-dollar bail can seem like it is too much, the Eighth Amendment to the U.S. Constitution shields individuals from extreme bail. The purpose of bail should not be to acquire extra funds for the government or punish an offender. You can watch a video about the Eighth Amendment. But let’s see what happens when an offender does not have the money to pay bail? This is where we get to the bond. A bond is bail money paid by aN bail bond company or South Gate bail bondsmen. The defendant obtains a loan, giving loans to criminal offenders might seem like a risky business, but they do this using property as collateral such as a car or a house. He also pays a set fee amount, usually 10% of the bail amount, the most common amount in South Gate but it may vary from state to state or even bail bondsmen to bail bondsmen. It’s relevant to mention as well that in some cases an offender can present weapons as bond collateral. But handing over a bunch of guns when having criminal charges might not be the best for everyone. The bail bonds company then pays the court a portion of the bail amount and secures that the rest of the amount will be paid in full if the offender flees. Courts accept this as a guarantee because the offender loses his property if he disappears. In some states the court also allows defendants to post their property bond, which lets them avoid the use of a bail bond company. There’s also an option called the signature bond. The individual presents a written promise to appear in court. If he fails to appear, he has to pay the court a fixed amount of money. The signature bond is also known as O.R, and it is maintained primarily for low-level offenders who suppose no flight risk. As you can notice, there is a mild distinction between bond and bail. Defendants who directly ensure their release with money are bailed out. Defendants who assure their release with collateral; either property or a promise to pay, are bonded out. In case you find that you need extra help or further assistance with a bail or a bond, talk to Angels bail bonds in South Gate, we would be more than glad to answer all of your questions. Read about When Can A Person Be Denied Bail in South Gate, CA?